Zoology is the study of the form and function of animals in the broadest senses of those words. It considers the many roles of animals within the natural world. The department has a diverse array of active researchers addressing a wide range of questions in zoology, evolution, physiology, ecology, development, parasitology, conservation, environmental science and behaviour. We use innovative techniques and methodologies such as immunology, stable isotopes, genetics, analytical chemistry, proteomics, modelling and sensor systems. We currently house eleven principal investigators, a host of postgraduate and postdoctoral researchers and are supported by a team of skilled technical staff. Much of our research is collaborative and we continue to maintain productive links with both academic and non-academic institutions at home and abroad. In 2016-17 there were over 80 publications by staff, visitors and students in Zoology. These included papers in the highest impact multidisciplinary science journals Science, Nature and PNAS as well as the leading disciplinary journals PLoS Neglected Tropical Diseases, Ecology Letters, Biology Letters, Global Change Biology, Lancet Infectious Diseases and Scientific Reports. 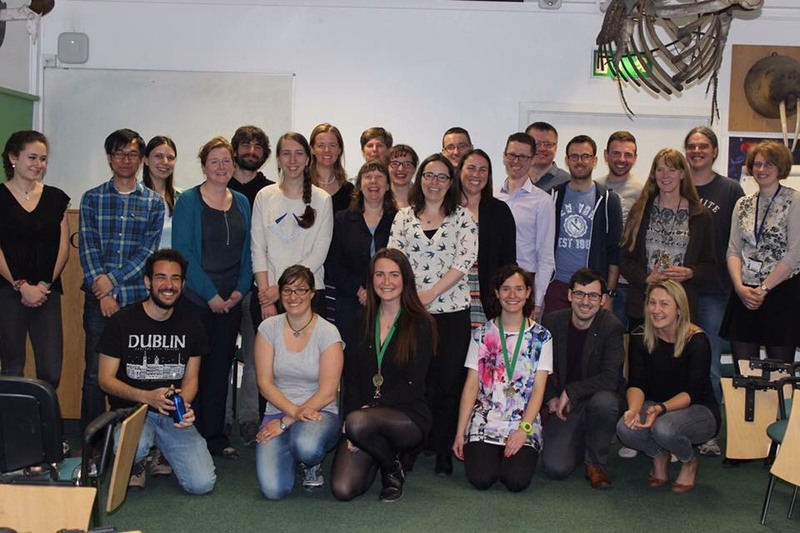 A wide range of topics were covered including: life history strategy, developmental biology, palaeontology, physiology, population biology, parasite biology, ecology, evolution, phylogenetics and insect taxonomy. Study systems ranged from Africa’s Great Lakes, Sulawesi, the Amazon and global grasslands to Irish lakes, pastures and Dublin zoo. Publications addressed important global challenges such as human health, species conservation, neglected tropical diseases, anthropogenic environmental impacts, species invasions, ecological stability, climate change, water quality and ocean health. Some of the species studied included: scarlet macaws, gorillas, dinosaurs, flies, shellfish, brittle stars, plants, worms, bank voles and the human eye, kidney, lungs and liver. Research Groups Check out the Zoology Research Groups.